What is the EyeQue Miniscope? What is the EyeQue Personal Vision Tracker? Is the EyeQue Miniscope safe to use? Is the EyeQue Personal Vision Tracker approved by the FDA? Can I perform tests with the EyeQue miniscope with a tablet, laptop or desktop computer? How much does the EyeQue Personal Vision Tracker cost? What does the confidence level mean? 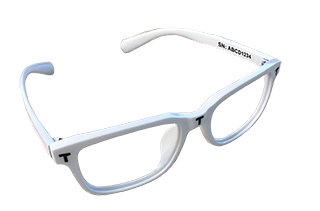 What are the limits of the EyeQue Person Vision Tracker? The EyeQue miniscope is designed to work specifically with a smartphone. The latest list of supported smartphones and operating systems can always be found on our product page. EyeQue continues to test and calibrate the software to support the ever-growing list of smartphones on the market. As of March of 2018, we have updated our software to accept a plethora of smartphones that have a pixel per inch screen density of 364 or higher. This affects mostly Android users as there are many makes and models that have various screens on their devices. There are still gaps within our testing data so not all smartphones with such a high PPI will work. We continue to test and calibrate new devices so we can cover the ranges that have gaps of data. Is there anyone who shouldn't use the EyeQue Personal Vision Tracker? How should I store my EyeQue miniscope when not in use? 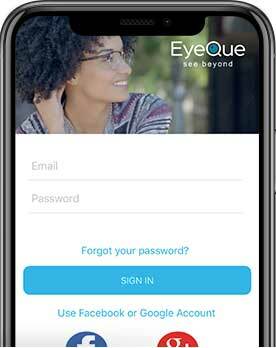 What is an EyeQue account?